Free online English classes for adults who want to improve their English and learn more about American culture, will be offered through Northern Essex Community College in October. 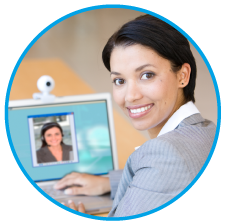 Online or distance learning classes offer English language learners the opportunity to take classes at their convenience. These classes are designed for the student who cannot attend a traditional class or are looking for additional ways to learn English. The Learning English at a Distance (LEAD) program uses a web-based site that provides basic and intermediate English classes. Students learn English, improve their vocabulary, grammar, reading, writing, and speaking and life skills. They work with a teacher who monitors and corrects their work. Interested individuals should attend one of the distance learning program registration days on August 24th or August 26th from 5 to 7 p.m. at NECC Riverwalk, 360 Merrimack Street, Building 9, Entry K, Room 312. Admission to the Distance Learning Program is based on a placement test given at registration. This program is funded by the Adult and Community Learning Services Massachusetts, Department of Elementary and Secondary Education.